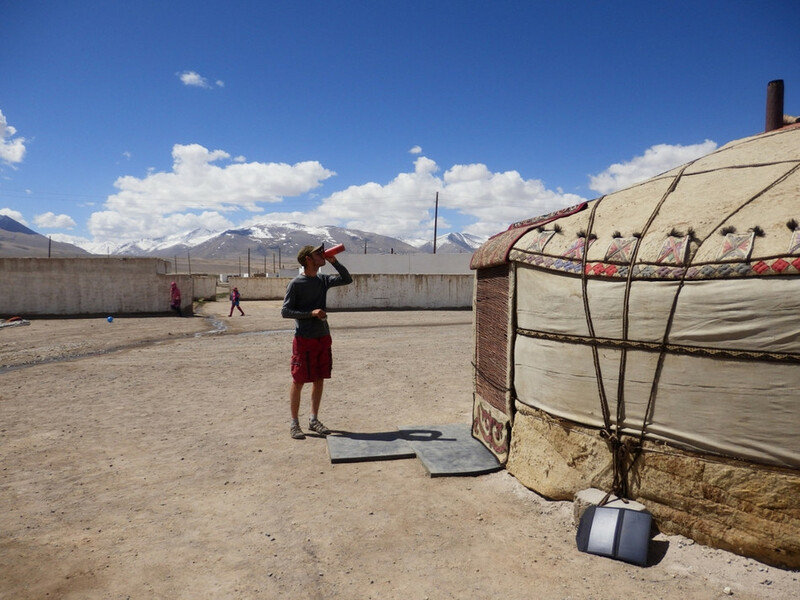 Specialists in Expeditions & short or extended Off-grid portable power. 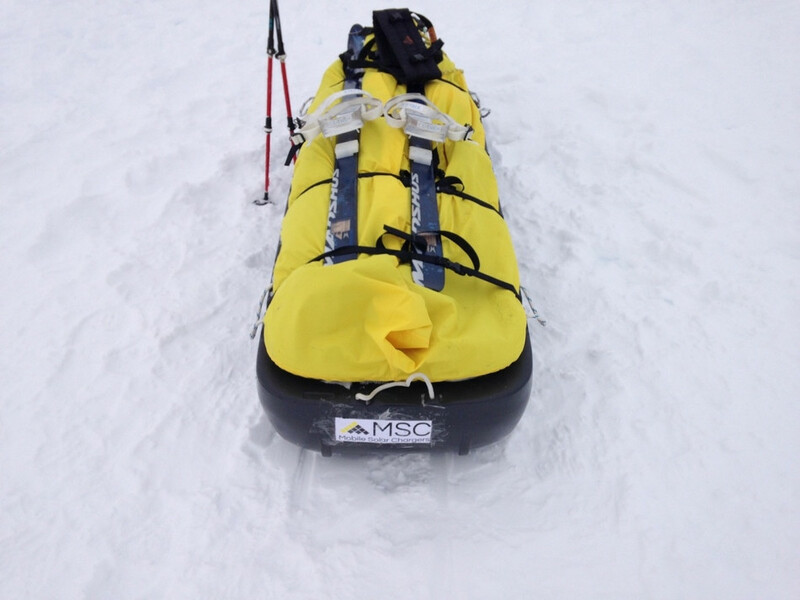 Recent Expeditions we have powered: ExIcemaiden, 65DegreesNorth, Expedition 5, Madex medical expedition to Madagascar. 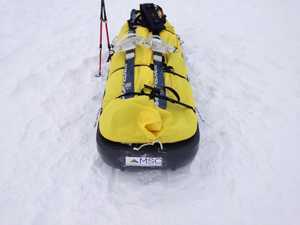 K2 Climb, Arctic, Antarctic. All Premium Batteries, range from 2,600mAh to 110,000mAh true capacity, tried and tested in the harshest environments, Everest base, Atlantic, Arctic. Solar power banks, Portable phone chargers, with or without Solar backup, all also recharge on mains/PC/Car USB. Folding Solar Panel Chargers ranging from 6w-100w, 5v,12v,19v compatible with all our Power Banks for off-grid charging. 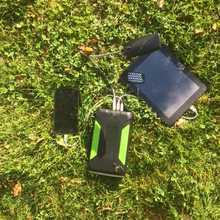 Portable Charging for iPhone, Samsung, LG, Nokia, Sony, all mobile phones, Tablets, all USB charged devices including blue tooth speakers, e-readers, e-cigarettes, mp3, GoPro, Dive Computers, GPS and VHF. Pokemon Go. 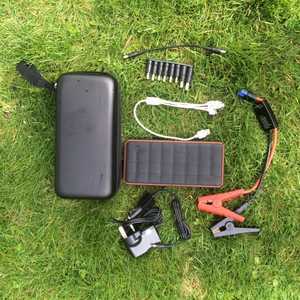 Portable Power for Laptops, Cameras, 12v, 16v, 19v and 12v/24v vehicle Jump Starters. 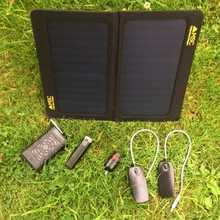 Pick and Mix, choose the right Power Bank for your needs and add the solar if needed, all are interchangeable. NB: An old Nokia had a 1Ah battery, lasted for a week. An iPhone 7 has a 3Ah battery for a day! i.e need 21Ah a week compared to 1Ah a week. Capacity ranges from 2 to 50+ stored phone charges, before it needs a recharge or with added Solar indefinite ongoing off-grid power. Assume a phone needs 2000mah (for an iPhone 5 charger, more for a large SmartPhone) and a Tablet 4000mah +. Next Day special delivery available on orders placed before 11.00am. Click on a category or Need help? 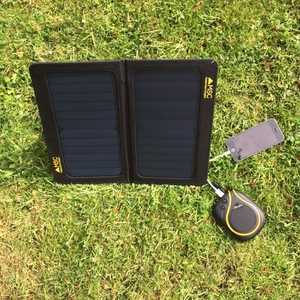 enquiries@mobilesolarchargers.co.uk we reply to all emails, check spam box. tel: 01935 825914. 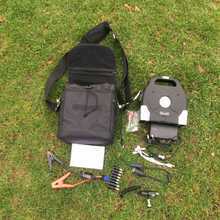 For an explanation of portable power Which Charger. 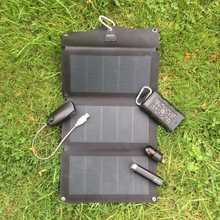 Off Grid Solar Charging www.solarchargingcan.com for NGO's, Disaster Relief, Glamping. Our Qi Wireless Phone Charging range has moved to www.wirelessphonechargers.co.uk. If outside the UK, please get in touch, problematic to send batteries, except via Courier, panels fine. Why is there such a difference in price of portable chargers on the internet ? There is a vast variation in quality of battery (the main expense) in power banks and solar chargers. You very much get what you pay for, Li-Po batteries should not be 'cheap', if they are going to be worth having. The best are Samsung, Sanyo, LG, reliable, safe and low loss on DC transfer, giving more charges per capacity. All the manufacturers buy in the outer shells and put in their own batteries and electronics and often misrepresent the true capacity. Two identical looking products can perform very differently. 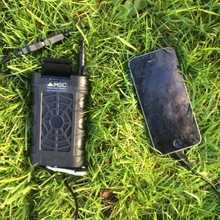 In 5 years of specialising in portable power, we have been very careful in sourcing legitimate and high-quality products, that should work for years, rather than weeks. 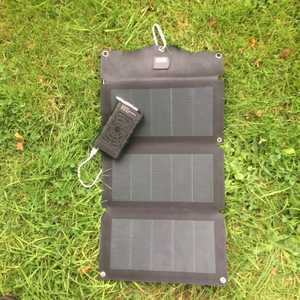 Combined Solar Charger for backup or a few days off-grid, like having the tap on with the plug out, the battery may go down, but slower than without the solar. 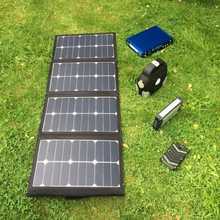 For extended off-grid and Travel, Treks and Expeditions, choose a separate Power Bank and a Folding Solar Panel or Special Packages, for ongoing power. Most phone batteries are around 1500mAh - 2500mAh, which will mean a 4000mAh charger will give about 2 + charges before it needs recharging. As an example, a portable iPhone charger of 6000mAh would give an iPhone 5 about 3 + full charges. 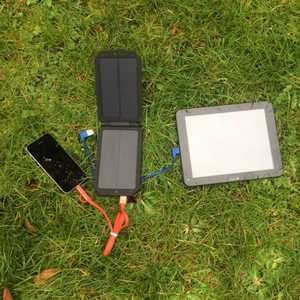 If your charger will always be in your pocket and you have access to mains each night, you will probably not benefit from a solar charger. 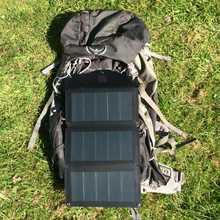 For travel, leisure, cycling, camping and festivals, solar has great benefit, free on going power in al natural light. Choose how much reserve you want and what you are intending to charge. 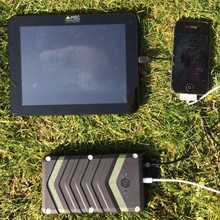 For off-grid power and extended time away, the fold out solar panel chargers can give on going portable power. Our smallest is the Power Stick which will give at least a full phone charge (iPhone 5) and hold its power for months. Our largest Power Banks (95Ah) have a reserve of 40 + charges and the Camper + also has solar recovery. 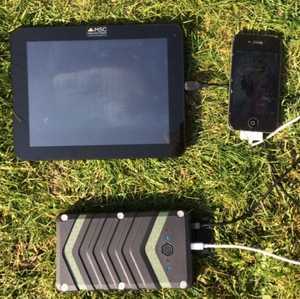 The folding solar panel chargers do not store power, but produce continuous power in any natural light to store in your chosen Power Bank. 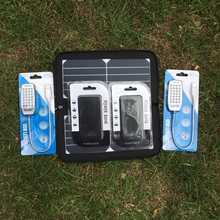 For boat, canoeing, festivals and camping we also have waterproof portable phone chargers and backup batteries. All our products come with one year warranty against defects, are pre-charged and come supplied with their own micro usb charge leads. The USB output port will accept any standard USB charging lead. 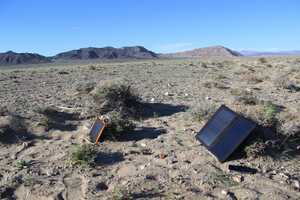 If you have any queries or questions please contact us at enquiries@mobilesolarchargers.co.uk.